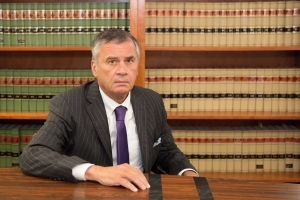 Mr. Secare was admitted to the New Jersey Bar in 1972 and has been recognized by fellow New Jersey lawyers with Martindale Hubble’s highest attorney ranking (A V), acknowledging his skills and experience. He is a former prosecuting Deputy Attorney General and now a criminal defense attorney who has handled a number of high profile cases throughout his career including the notorious “Royal Manor” murder case of 1978, which the Asbury Park Press ranked as the number one story of that year. In 1998, he defended the “prom mom,” a case that drew international attention and was the story ranked number two for that year by the same newspaper. In 2012 he represented the President of Brookdale College, the Asbury Park Press number three newsworthy story of the year. 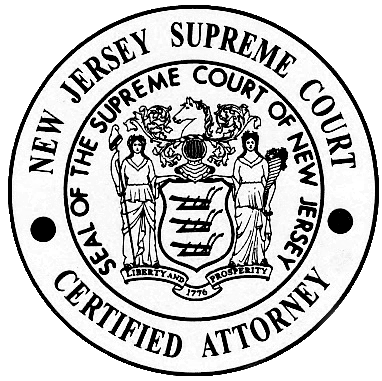 Steven Secare is certified by the Supreme Court of New Jersey as a Criminal Trial Attorney. Mr. Secare is widely recognized for his civil litigation skills as well and is a member of the “million dollar verdict” club, having handled thousands of personal injury cases throughout his career. He has been consistently elected a member of Ocean County’s civil and criminal practice committees by judges and lawyers. A past President of the Ocean County Bar Association from 1994-1995, he was awarded the association’s highest honor for achievement in 1997. For more than twenty-five years, he has been appointed by the Chief Justice of the New Jersey Supreme Court to serve as secretary to the District IIIA (Ocean County) Attorney Ethics Committee, which operates under the auspices of the State Office of Attorney Ethics. In that capacity, Mr. Secare supervises and oversees the discipline of attorneys within the county. Mr. Secare has lectured extensively on ethics and professional responsibility and has been a lecturer and the moderator of the Ocean County Bench/Bar Professionalism Day since its inception. Mr. Secare has been active in many civic and professional associations and in 1998 was voted by the Ocean County Observer as one of the ten most influential men in Ocean County. He represents or has represented several Ocean County municipal governments, including Township of Manchester, Borough of Seaside Park, Township of Lakewood, and Borough of Pine Beach as general counsel and serves as special or associate counsel for the those municipalities. He has also represented the Townships of Barnegat, Ocean and Lacey and the Boroughs of Island Heights and Beach Haven and several other governmental agencies as general or special counsel. A combat Veteran of the Vietnam War, Mr. Secare has served on several State and Local agencies and committees on behalf of veterans. He is the holder of the State Distinguished Service Medal with oak leaf cluster and in 2002 he was appointed by the Governor to the Agent Orange Committee for the State of New Jersey. New Jersey Attorney General’s Office. Employed as a Deputy Attorney General in the Trial Section of the Division of Criminal Justice. Litigated cases throughout New Jersey specializing in white collar and organized crime. Superior Court of New Jersey; Monmouth County Freehold, New Jersey. Served as Law Clerk to the Honorable Patrick J. McGann, J.S.C. Past–President of Ocean County Bar Association 1994-95. 1997 Ocean County Bar Association Lawyer of the Year. Member Ocean County Criminal and Civil Practice Committee. Former Member of New Jersey Supreme Court Committee on Criminal Practice. Secretary to the District IIIA (Ocean County) Ethics Committee. Arbitrator, Ocean County Automobile Negligence and Personal Injury Arbitration Program. Former member of Panels of New Jersey State Commission to Study Post-Traumatic Stress in Vietnam Veterans. Manchester Township Veterans Affairs Committee. Member of Brick Township Veterans of Foreign War. Member of Civil Practice Committee. Member Judicial Appointment Committee Ocean County Bar Association. Recipient of New Jersey Distinguished Service Medal. 1963 – 1967 Saint Peter’s College, Jersey City, New Jersey, B.A. Served with 23rd Infantry Division, Republic of Vietnam. 1969 – 1970.